Israel is 66 years old! Celebrate by revisiting the early years. 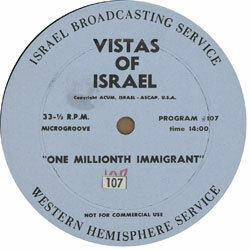 Listen to the authentic recordings from the Vistas of Israel radio series.